Every year, after the clock strikes midnight on January first, ushering in the New Year, many people make resolutions, promising to make positive changes to better their lives. You may promise to lose weight, be healthy, be happy. Most resolutions are vague, and if you are like a good portion of those who make resolutions, you abandon your resolution a month or so later, finding it too difficult to stick to. 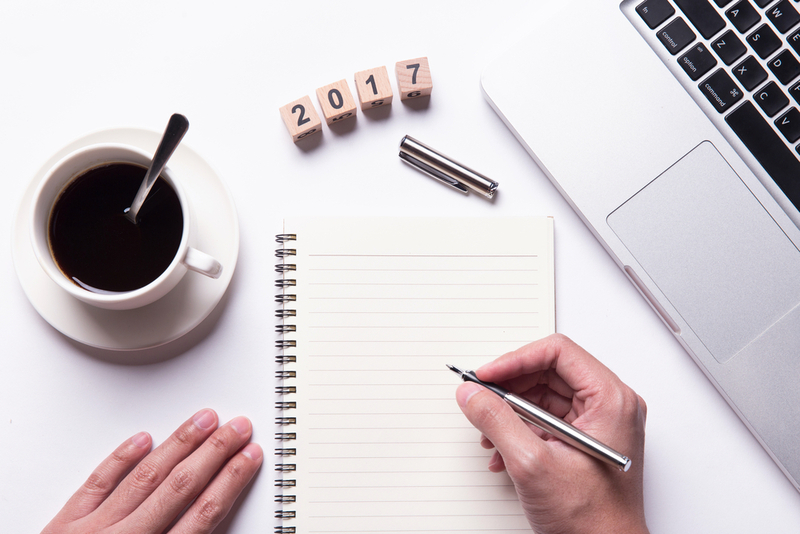 Making resolutions in the New Year is a wonderful idea, and can really help you to visualize your goals and make the changes you want to see. But what good are they if you can’t stick to them? Here are some resolutions you can make—and keep—in 2017. These days, with all of the advancements in technology, it’s so easy to get distracted. This is especially true now that you carry the internet around in your pocket on your cellphone. One click of a button and you are instantly connected to the entire world. You can browse news stories, check your emails and get lost in checking up on what everyone is doing on social media. But while your eyes are glued to the screen, you tend to forget about the ones around you, and those are the ones who are most important. This year, pledge to spend more quality time with your family. Turn off the television and get out of the house. Play outside, go on a hike, visit a museum. You can even do a little bit of research and take an exciting day trip. If you have young children, go back to your youth and use your imagination. When you’re at home, turn the technology off at meal time. Leave all electronic devices in another room before you sit down and really connect with your family. The resolution to be healthy can be rather vague. But making healthier choices prompts you to be more conscious of the decisions you make every day. For instance, when faced with the decision to sit down to watch television after dinner or go for a walk, the healthier choice would clearly be to go for a walk. When it comes to mealtime, you may start reading food labels of the products you buy in the store, making you more aware of what you are putting in your body. Whether it’s choosing to eat at home or picking a lighter (or vegetarian) option off the menu, making healthier choices is best done one step at a time. We live in a fast-paced world. Everything we do is high speed and on autopilot. As a result, the chances are pretty good that you don’t sit down to dinner and really enjoy your food. Many people eat in the kitchen, standing up, before rushing off to get to an appointment or run an errand. Or, perhaps you’re one of the many who eat in front of the TV. These habits force you to ignore what you’re putting in your mouth. You may not even really taste it. Another common habit with food is that many use it as a reward. Perhaps you went to the gym, so you decide to splurge on a rich meal. Using food to reward yourself, makes your brain think that the food is something you must earn, rather than enjoy. Instead, resolve to really enjoy your food. Make time to eat. Sit down at the dining room table. And don’t use food as a reward. There are plenty of delicious, healthy choices that you can choose from. You don’t have to limit yourself to a bland diet just because you think that’s the healthy thing to do. And, enjoying your food can go hand in hand with spending more quality time with your family. With good food and great company, you are sure to have a great year. Resolutions don’t have to be impossible to keep. With reasonable, doable goals and daily progress, you will most certainly see the positive changes that you want to make in 2017. Kate's Kitchen and Ronnie's Restaurant both offer a wide variety of healthy breakfast and lunch options to support your resolution efforts in 2017! Check out our menu to learn more!